Over 30 qigong exercises and simple massage techniques demonstrated by Dr. Yang and Ramel Rones. Relieve or prevent arthritis naturally! In China, the ancient art of Qigong has been practiced for centuries to relieve, heal, and prevent arthritis. "Qigong" means ‘energy work', and it is the practice of using the mind to naturally develop and circulate the body’s Qi energy for improved health, vitality, and longevity. 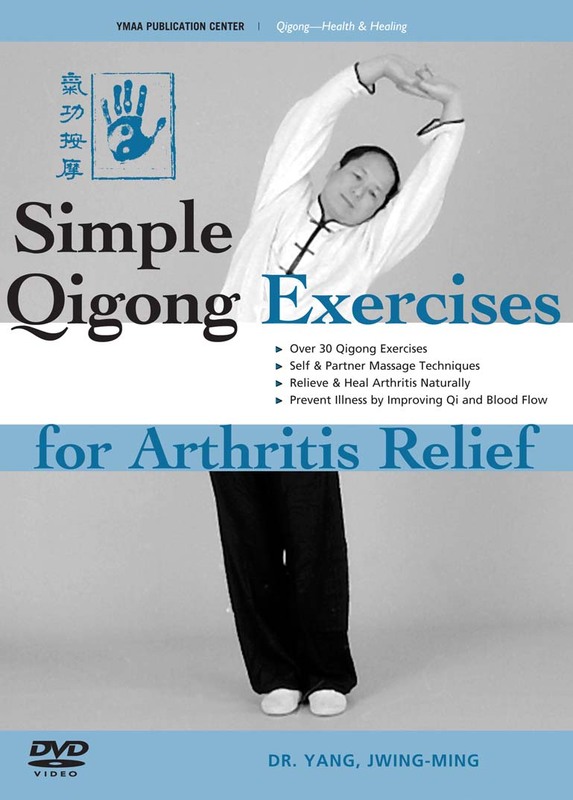 In this program, Dr. Yang, Jwing-Ming and senior student Ramel Rones demonstrate over 30 simple and effective qigong exercises to relieve arthritis pain and rebuild the health and flexibility of your joints. These qigong movements gradually recondition the joints, and they're a natural way to heal and prevent arthritis. Most of the exercises can be practiced in either a seated or standing position. Also included are simple qigong massage instructions for specific pressure points, which can be practiced by yourself or with a partner. This acupressure massage works to alleviate arthritis by increasing circulation of blood and Qi, which stimulates healing. The exercises and massage techniques on this DVD are categorized by body part, so you may easily find the technique to relieve your own arthritis in just a couple of clicks. This program is a must for Qigong students, teachers, and those interested in preventing and healing arthritis naturally.